Eleanor Johnston, known by her professional name as Cristy Lane (born January 8, 1940) is an American country music and gospel music singer, best known for a number of major country hits in the late 1970s and the early 1980s, including her cover version of the song "One Day at a Time". 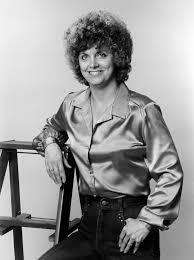 Lane's career began to take shape in the mid-1970s, after beginning to record for her husband's record label. Her first singles, "Trying to Forget About You" and "Sweet Deceiver", were released in 1977 followed by "Let Me Down Easy", her first major hit, by the end of the year. After having a series of Top 10 and 20 country hits, she signed with United Artists Records, and had her biggest hit with "One Day at a Time", a gospel song, that peaked at No. 1 on the country charts.